Travel from the remarkable city of Chennai, to the Lion City of Singapore, with only the best options for you Chennai to Singapore flight. Stay updated with flight timings or get alerts on the cheapest fares on our international bookings. Get easy access to complete flight schedules and the best deals only with our Chennai to Singapore flights. If you are planning to travel from Chennai to Singapore, then you should visit www.akbartravels.com which is India’s leading travel website. 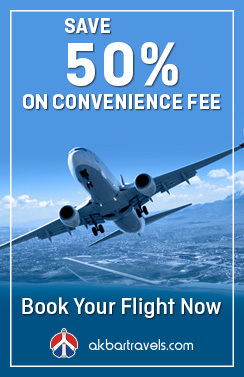 It will help you in comparing, finding and booking cheap flight tickets from Chennai to Singapore. Whether you are booking a one-way flight ticket from Chennai to Singapore or a return, you can rest assured on getting the best deals and offers on Chennai to Singapore flight tickets only with Akbar Travels. Booking your Chennai to Singapore flight ticket online gives you several benefits like insurance, reward points, 24/7 customer support and access to multiple airlines. www.akbartravels.com offers you the widest choice of airlines for Chennai to Singapore flights so you can choose you’re most preferred date, time, date, and a number of stops for your flight. A commercial hub and capital of Tamil Nadu, Chennai is a city that is exciting in every way. It is the famous commercial, economic and educational center in India. There are several leading airlines which serve the city such SriLankan Airlines, Druk Air, Emirates, Oman Air, Kingfisher, and many others. These airlines provide direct services to major cities such as Mumbai, Delhi, Kolkata, Bengaluru, and many others. Chennai International Airport is situated at a distance of 7 kilometers from the main city center. Situated in the southern hemisphere, Chennai experiences an extreme climate in summer and cool climate from December to February, making it a perfect time to fly to Chennai. This lively, diverse city is home to a variety of historical landmarks, museums and art galleries. Be its stunning beaches, architectural marvels or gorgeous temples, Chennai has it all! This city has numerous restaurants offering a large spread of varied cuisines and is famous for its scrumptious Chettinad cuisine. When shopping in Chennai, you can choose from exclusive specialties of traditional arts and crafts and a huge selection of wooden carvings. With over 30 international flights to and from Chennai to numerous destinations, Chennai is a major hub for travelers. The Anna International Airport is a good entry and exit point as many airlines operate flights in and out from here. Some of the famous places to visit in Chennai are Kapaleeshwarar Temple, Fort St. George, Guindy National Park, Arignar Anna Zoological Park, Thiruvalluvar Nagar Beach etc. The cheapest months to that have the lowest Chennai to Singapore flight fares are March to May. 1. What are the airline brands that offer Chennai to Singapore flights? A:The airline brands that offer Chennai to Singapore flights include Singapore Airlines, Vistara, Jet Airways, Indigo, Air India, Malindo Air, Flyscoot, Air India Express, Silkair, Malaysia Airlines, Air Asia and Thai Airways. 2. How many Chennai to Singapore flights are there every day? A:There are 300 Chennai to Singapore flights every day. 3. Which is the earliest Chennai to Singapore flight? 4. What are the airport codes of Chennai and Singapore? A:The airport code of Chennai is MAA and Singapore is SIN respectively. 5. What time does the last Chennai to Singapore flight? A:The last Chennai to Singapore flight is at 11:55 pm by Malaysia Airlines MH 181. 6. What is the name of the international airport in Chennai? A:The name of the international airport in Chennai is Chennai International Airport.